Probably the number one health problem for dogs, apart from being overweight, is periodontal disease. According to the American Veterinary Dental Society, more than 80 percent of dogs show signs of periodontal disease by the age of three. 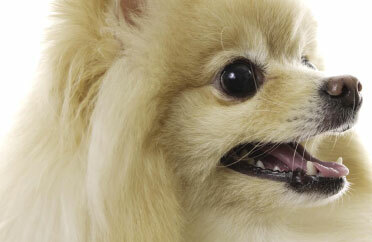 Here’s how to take care of your pooch’s teeth. The accumulation of tartar and plaque and the resulting gingivitis can lead to more serious disease. Tartar accumulates, and eventually the healthy pink gum starts to look red, and swell. At this point, without medical intervention, gingivitis or inflammation of the gum takes over. This process leads to bad breath. And worse, it often leads to damage to the jawbones, and loss of teeth. Pet parents can lightly brush their dog’s teeth at least twice a week to remove plaque deposits. A child’s nylon toothbrush dipped in a toothpaste made for dogs should be used. Do not use toothpaste made for humans, which can cause nausea in dogs if swallowed. An alternative to brushing is using a dental chew. Studies by Waltham have shown that certain specifically designed dental health chews (Dentastix) result in a significant reduction of plaque and calculus accumulation, gingivitis and malodour. Dry dog food like Pedigree also helps prevent dental plaque accumulation. Puppies enjoy chewing on everyday household objects. Discourage your dog from doing that and provide him with a specially designed toy. Although puppies will generally not have problems with their teeth or gums, plaque can quickly build up at the base of the teeth and cause gum disease in dogs as young as 12 months. To reduce the risk of this happening, regularly check your pet’s teeth. Special dog biscuits or chews are very beneficial and help clean the plaque off your dog’s teeth. You can also introduce tooth brushing at this age. Lift your dog’s lips away from his gums, and press a finger firmly over an upper tooth. When taken away, the white colour of the finger imprint on the gum should return to pink. Open the dog’s mouth to inspect all his teeth. Beware of tartar build-up, which is yellow to dark brown in colour, and can lead to periodontal disease. This should be removed by a veterinarian. Regular veterinary dental cleaning along with specially designed pet toothbrushes and toothpaste and chew snacks, designed to eliminate plaque, can help reduce build-up. What you can do to help your dog? First of all, have your dog visit your vet to have his teeth properly cleaned. The procedures used are similar to what we go through when we visit the dentist to have our teeth cleaned. The difference is that dogs who have their teeth cleaned are either sedated with a tranquiliser or, more commonly, put under general anesthesia. In between visits to the vet, brush your pet’s teeth regularly. How do you do this? It’s easy. First, go to your vet’s shop and buy a toothbrush designed for using on dogs, along with toothpaste made for dogs. How to brush your dog’s teeth? Start by putting a small amount of the toothpaste on your finger, and gently rubbing it on your dog’s front teeth and gums. After a few times, switch from a finger to a dog’s or a child’s toothbrush, one with soft, rounded bristles. Start by brushing the front teeth only, with a downward motion on the top teeth and upward on the lower teeth—the same way we’re supposed to brush our own teeth. After your dog gets used to this new activity, start doing teeth farther back in the mouth, brushing the premolars, then molars with the same motion you used on the front teeth. Consult your vet for suitable brush and paste. Just like people, dogs need to have their teeth brushed and cleaned. But the fact is, probably the number one health problem for dogs, apart from being overweight, is periodontal disease. Regular veterinary dental cleaning along with specially designed pet toothbrushes and toothpaste and chew snacks designed to eliminate plaque, can help reduce build-up. According to the American Veterinary Dental Society, more than 80 percent of dogs show signs of periodontal disease by the age of three. The accumulation of tartar and plaque and the resulting gingivitis can lead to more serious disease. Tartar accumulates, and eventually the healthy pink gum looks red and swollen. At this point, without medical intervention, gingivitis or inflammation of the gum takes over. This process leads to bad breath. And worse, it often leads to damage to the jawbones and loss of teeth. Lift your dog’s lips away from his gums, and press a finger firmly over an upper tooth. When taken away, the white colour of the finger imprint on the gum should return to pink. Open the dog’s mouth to inspect all his teeth. Beware of tartar build-up, which is yellow to dark brown in colou r, and can lead to periodontal disease. This should be removed by a veterinarian. Visit a vet: First of all, have your dog visit your vet to have his teeth properly cleaned. The procedures used are similar to what we go through when we visit the dentist to have our teeth cleaned. The difference is that dogs who have their teeth cleaned are either sedated with a tranquilizer or, more commonly, put under general anesthesia. In between visits to the vet, brush your pet’s teeth regularly. How to brush your dog’s teeth: Consult your vet for suitable brush and paste. Owners can lightly brush their dog’s teeth at least twice a week to remove plaque deposits. Do not use tooth pastes made for humans, which can cause nausea in dogs if swallowed. Start by putting a small amount of the toothpaste on your finger, and gently rub it on your dog’s front teeth and gums. After a few times, switch from a finger to a dog’s or a child’s toothbrush, one with soft, rounded bristles. Start by brushing the front teeth only, with a downward motion on the top teeth and upward on the lower teeth—the same way we’re supposed to brush our own teeth. After your dog gets used to this new activity, start doing teeth farther back in the mouth, brushing the premolars, then molars with the same motion you used on the front teeth. Other alternatives: An alternative to brushing is using a dental chew. Studies by Waltham have shown that certain specifically designed dental health chews (Dentastix or schmakos) result in a significant reduction of plaque and calculus accumulation, gingivitis and malodour. Dry dog food like Pedigree also helps prevent dental plaque accumulation. This should be fun for your dog. Do not overly restrain your dog. Keep sessions short and positive. Be sure to praise your dog throughout the process. Get your dog used to the flavour and consistency of the toothpaste. If your dog does not lick the paste, you may need to try a different kind. Apply a small amount of paste to your finger and gently rub it on one of the large canine tooth. Be sure to praise your dog when he licks the paste. After your dog is used to the toothpaste and having something applied to his teeth, get him used to the toothbrush. We need to get him used to the bristles on a brush. Never use human toothpaste. Dogs cannot spit and will eat the toothpaste. Thus, cleaning your dog’s teeth must be done with dog toothpaste. Clean your dog’s teeth a minimum of twice a week. Use either a toothbrush or a finger brush. Brush in circular motions much as you do your own teeth. The more often you brush the better. Always aim for daily dental care for your dog. The hardest thing about home dental care for dogs is just getting started. Once you have done it for a while, it just becomes a part of your daily routine. If you cannot brush daily, brushing every other day will remove the plaque. Avoid feeding dogs table scraps or sweet treats because they can increase the build up of plaque and tartar and can lead to other health problems. Removal of plaque can be accomplished by using dental toys or rawhide chips. Always supervise your dog when he is chewing on a toy. There are some dental chews that are specifically designed to help control plaque and tartar build-up. So, if you haven’t brushed your pooch’s teeth, pick up the toothbrush and get, set, go…. http://www.dogsandpupsmagazine.com/wp-content/uploads/2010/07/grooming1.jpg 134 250 Dogs and pups Magazine http://www.dogsandpupsmagazine.com/wp-content/uploads/2017/05/1254nal.jpg Dogs and pups Magazine2010-07-22 05:59:502014-02-07 17:48:59Taking care of pearly whites!